Does the thought of the TOEFL Reading Test worry you? How can you learn the vocabulary and English reading comprehension skills to get the score you need? 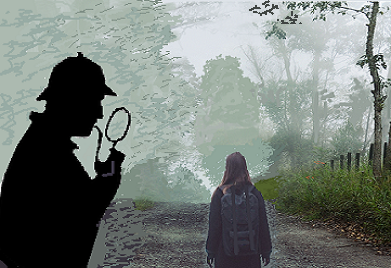 Solve the “mystery” of English reading and vocabulary with this course on Clues to the TOEFL Reading test. This short course will help you gain the skills and confidence you need to get a better score. It explains the test structure and what the examiners are looking for with each type of test question. Then it helps you master each type of test question, one step at a time. What Will You Learn in the TOEFL Reading Test Course? > and practice with a variety of reading levels and speeds to boost your comprehension skills and reading speed. There is a quiz after each unit with a reading passage and questions like the ones on the TOEFL Reading Test. Each quiz practices the question types demonstrated in that lesson, and often a few others. In the middle and at the end of the course there are longer tests of 12-14 questions that closely resemble a reading passage and its questions in the actual test. A very important bonus is the private Facebook group where you can discuss the test and your experiences and questions about English, or ask me (or your fellow students) about anything you’re not sure about, regarding the test, vocabulary, or anything. (You can also send a private message to me if that would ever be better, and I will answer as quickly as possible. If a lesson is confusing or missing something you need, I will change or add to it.) I’ll work closely with you to help you prepare—and to improve your English, since that can open so many doors to future opportunities. If you want to take any of the other courses in the EnglishHints Academy (on vocabulary strategies, roots and affixes, and on the writing test—soon), you will get a big discount. If you want to take this course with a friend or two, there is also a discount, to make it easy for you to study and practice together. Just send me a message. For more information on courses to prepare for the TOEFL exam, see Mastering English Test Vocabulary.